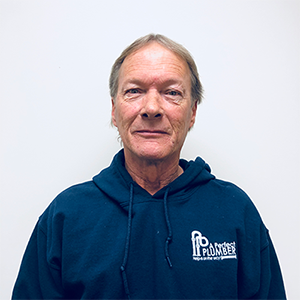 Dennis started in plumbing over 25 years ago as a way to make a living. He quickly realized how much he enjoyed helping people as a plumber so he stayed in the business. Dennis loves solving complex plumbing problems and the feeling of a job well done. Dennis spends his time outside of work with his three daughters and granddogs. Did You Know... Dennis loves the outdoors and hopes to visit Alaska in the summertime someday. On his Alaskan adventure he would most like to see orca whales and eagles.